← 12th Man: Can Caldwell be Superman? Wigan Athletic’s Championship survival hopes are now hanging by a thread after last night’s 2-2 draw with Fulham. Despite a spirited performance under new manager Gary Caldwell Latics were unable to capitalise on their dominance and are now seven points from safety with only four games remaining. Fulham took an early lead through Ross McCormack’s curled shot into the bottom corner but Latics responded with an even better goal from Jermaine Pennant’s superbly executed free kick. The Cottagers regained the lead through Matt Smith’s spectacular 25 yard strike, before Jason Pearce levelled for Latics on 69 minutes. New manager Gary Caldwell made two changes from the home defeat to Derby County with Scott Carson replacing Ali Al-Habsi in-goal and Jermaine Pennant replacing Leon Clarke upfront. Caldwell’s reign got off to a disastrous start when Harry Maguire’s header fell to McCormack and the former Leeds striker curled the ball past Scott Carson after only four minutes. Wigan responded positively to the setback and started to gain control of the game. They were rewarded on 20 minutes when James McClean’s was brought down by Scott Parker 25 yards out. Jermaine Pennant stepped up and replicated his excellent free kick technique from the Rotherham victory by beating Fulham keeper Marcus Bettinelli. Latics were now dominating possession but on 35 minutes and against the run of play Fulham were once again ahead. Matt Smith was given plenty of space just outside the Wigan area and the former Oldham striker chipped the ball over Carson from 25 yards out. It was a massive body blow to Wigan and they went into the interval 2-1 down. Martyn Waghorn replaced Marc-Antoine Fortune on 56 minutes and he might have scored with his first touch. Pennant’s corner was headed towards goal by McClean but Bettinelli saved with Waghorn ready to pounce. Fulham were dangerous on the counter attack but Latics continued to control possession and finally drew level on 69 minutes. Pennant’s corner was met by a powerful header from Maguire and Jason Pearce smashed the ball into the roof of the net at the far post. Surely Latics would now go onto win the game. Winger Josh Murphy replaced Pennant on 83 minutes in a push to grab all three points. Latics continued to press with McClean twice firing at goal, one went wide, the other was blocked. 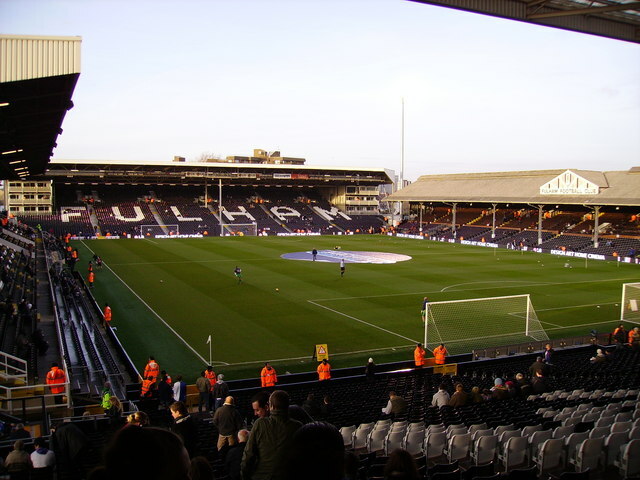 In added time McClean and Waghorn tried to combine on the edge of the box, then Fulham had a chance but Gaetan Bong blocked Grimmer’s effort. A draw will probably not be enough for Latics survival, but it was a much improved performance and Caldwell was proud of his players after the game. Wigan now go to Millwall on Tuesdsay night knowing that only a win will do if they are to have any chance of escaping the drop. This entry was posted in Championship, Fulham, Gary Caldwell, Jason Pearce, Jermaine Pennant, Matt Smith, Ross McCormack, Wigan Athletic and tagged Championship, Fulham, Gary Caldwell, Jason Pearce, Jermaine Pennant, Matt Smith, Ross McCormack, Wigan Athletic. Bookmark the permalink.